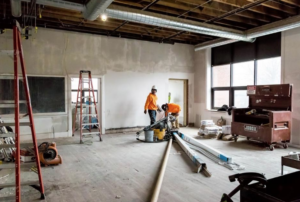 The Economic Development Foundation of Rhode Island is re-purposing the old Sheffield School located in Newport into a modern office building known as Innovate Newport. The $8 million, 34,000 sf, three story building located on Broadway will provide a wide range of high tech office suites, rooms, and meeting spaces with the latest technology available. Innovate Newport will provide technology specific to applied oceanographic research, defense/cyber applications, environmental and alternative energy research and emerging digital industries. DiPrete Engineering provided parking and stormwater improvements as well as landscape design.